Social media continues to play an integral role in marketing and communications programs. How can you ensure the content you post reaches the right audience and generates engagement? Hashtags. Formerly known as the “pound sign,” hashtags have evolved over the last decade to become a powerful tool for organizing content. When used strategically, they help you get the word out and gain visibility. Most important to avoid is posting hashtags as quick afterthoughts, which too many marketers do when trying to tell a story, build a brand, and create conversations. Remember, the key to a successful social media campaign is to appear spontaneous and, well, social—while thoughtfully planning and scheduling your content. What are the tricks of the trade? Let’s take a look at how to leverage the power of the hashtag on three social networks: Twitter, Instagram and Facebook. Twitter and Instagram posts with hashtags gain additional exposure because these platforms have far-reaching capabilities. Savvy marketers use hashtags to take posts beyond the realm of their followers to a greater audience. 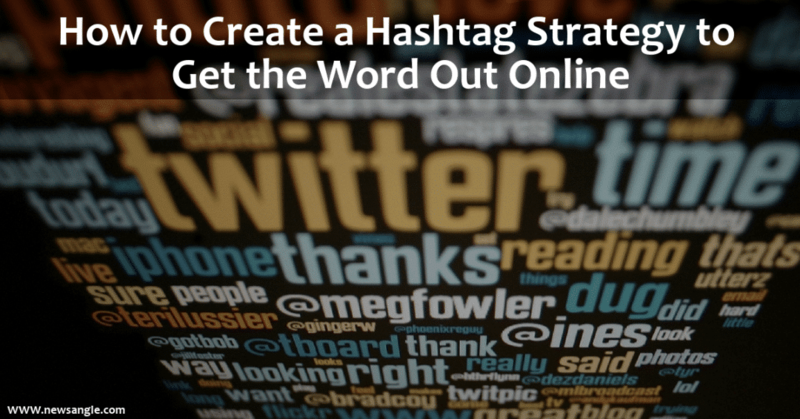 Hashtags should directly speak as key words or phrases that describe your product. Creating new hashtags is a good way to strengthen your product, but you must promote the hashtag. The goal is for more people to post, thus creating a stronger hashtag. You may want to ponder how many people are seeing a particular hashtag and its power to get the word out if you post an image to its stream, and two weeks later only one or two new posts have been added. This means that the hashtag may not be powerful at all, and is not giving you high exposure. This is a double-edged sword, as popular hashtags can bury posts in no time, but the opposite is also not effective for reaching that larger audience. A good rule of thumb is that a hashtag should be whimsical, creative, and clever without being cute. When posting to Instagram, use a combination of high-profile established hashtags, along with general categorized hashtags for maximum visibility. For instance, the hashtag #OnTheTable is a high-profile hashtag that was created to show beautiful tabletop scapes from above. LEA’s content curator, Robert Tobin, created the hashtag, #StoryInASquare, which is now used daily by Instagram photographers around the world to tell their stories. He recommends that adding a branded name in front of a common Instagram hashtag is a good way to jump-start a social media campaign. Tip: Using the hashtag #YourBrandName_OnTheRoad invites your followers to post photos of themselves using your product “in the wild” and will build your brand’s hashtag page. For example, the Columbus, Ohio Instagram group @igcbus uses the hashtag, #igchbus_ontheroad, to connect photographers who either live in Columbus or visit Columbus to document their travels. Photos posted to the hashtag range from across Ohio to the four corners of the Earth. To find active hashtags on Instagram, click the magnifying glass at the bottom of your screen to bring you to the “Search” bar. Now explore what types of traffic hashtags generate when someone is searching for your products and services. We suggest using no more than 10 to 12 hashtags when posting branded content on Instagram, or it will seem as though you’re fishing for likes. Separate your hashtags into three categories to keep track of them. For Instagram, they should identify the photo, support the caption, or promote the brand or campaign. On Instagram, post hashtags at the same time you post an image because hashtags are visible in the order your image was posted, not when hashtags are given to the image. This change was made by Instagram a while back because some users were deleting hashtags, and then reposting new ones to keep images at the top of the hashtag feed. A quick trick I use is to keep a handful of my favorite hashtags in my notebook app, so all I have to do is copy and paste quickly once the image is posted. Instagram now lets you save drafts, so write your caption in advance to ensure timely and turnkey posts. For Twitter, start at the trending topics on the left side of your home page to give you inspiration for your hashtags. I have found the Advanced Search dropdown menu a great way to discover tweets when using specific words and key phrases. And of course, to get right to the point, you can type hashtags directly in the search bar in the upper right-hand corner of your home page. In terms of brands, Oreo is one of the most frequently lauded for its social media savvy. Check out the current #OreoDunkChallenge for a fun campaign that is generating significant engagement. Coca-Cola is another social media standout. The #ShareACoke hashtag is one of our favorites. So once you have your campaign up and running, how can you track results? Using a third-party monitoring tool to track key hashtags on Twitter can be beneficial when creating hashtags for your digital PR campaign. Hootsuite is one of the top free tools available, and one we rely on. By monitoring your hashtags’ traction, you can hone them to increase engagements. It also will help you create content based on the conversations you track online, monitor mentions of words and phrases that are important to your brand, and reply and retweet favorite tweets. Tip: Avoid using programs and apps that automatically post across multiple social media platforms, as it creates a uniform, rather than a creative, look to your posts. Some brands have opted to use hashtags on Facebook since the social media network introduced them a while back. But remember that Facebook operates differently than other platforms. Rather than speaking out to the world, Facebook posts by individuals are usually targeted to a more intimate audience of acquaintances, friends, and people interested in your particular product or service. So how effective are hashtags on Facebook? Some say they’re not. In fact, a 2016 study from BuzzSumo indicates that Facebook posts with hashtags actually receive less engagement. In addition, they provide little additional exposure. To check out popular and branded topics on Facebook, head to the upper right of your screen, find the magnifying glass search bar, and start exploring. You’ll find trending topics on the right of your home page, but take note that none are actually hashtags. Tip: Hashtags are not as effective on Facebook as on Twitter and Instagram, and should be used sparingly. Need support for your social media strategy? LEA is here to help. Contact us to learn how we can get the word out.